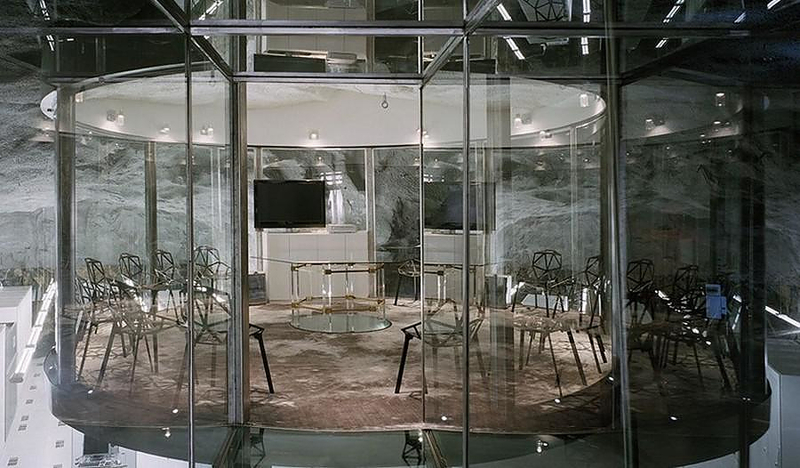 Ex-Nuclear Safe House Offices by Albert France-Lanord Architects. 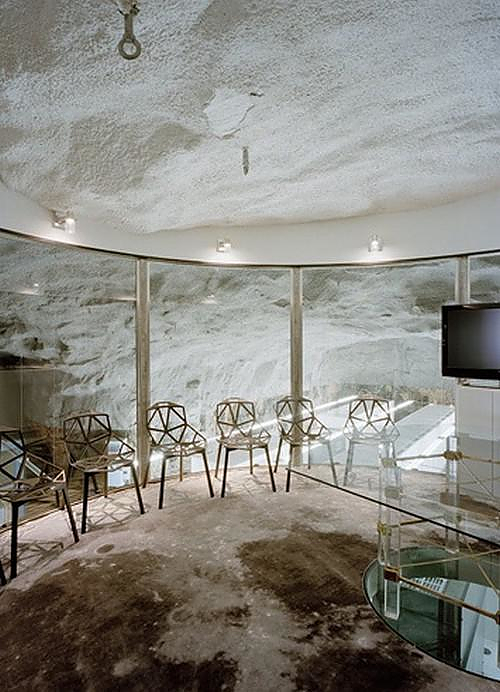 HomeBlogArchitectureEx-Nuclear Safe House Turned Into Offices by Albert France-Lanord Architects. 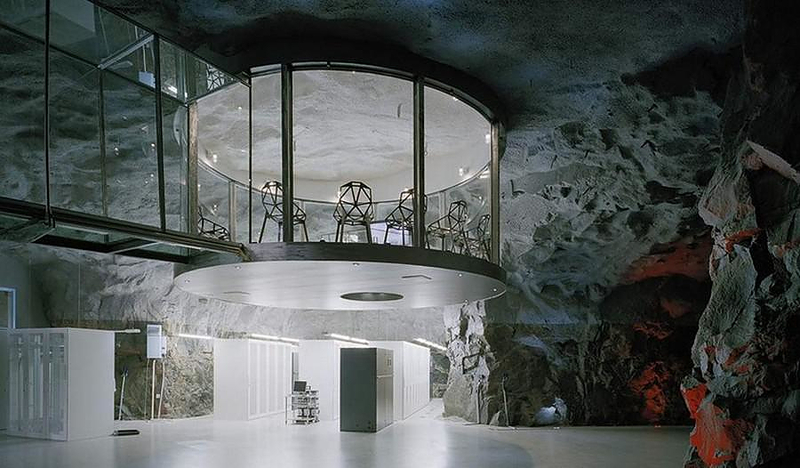 At first glance, the space shown in the pictures looks like a secret base of some movie villain that wants to take over the world. 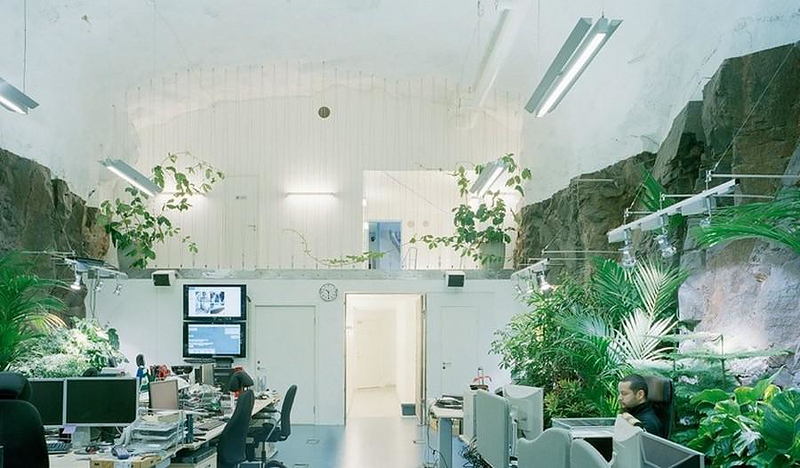 In reality, what you are looking at are the offices of Swedish Bahnhof, a network & internet services provider company. 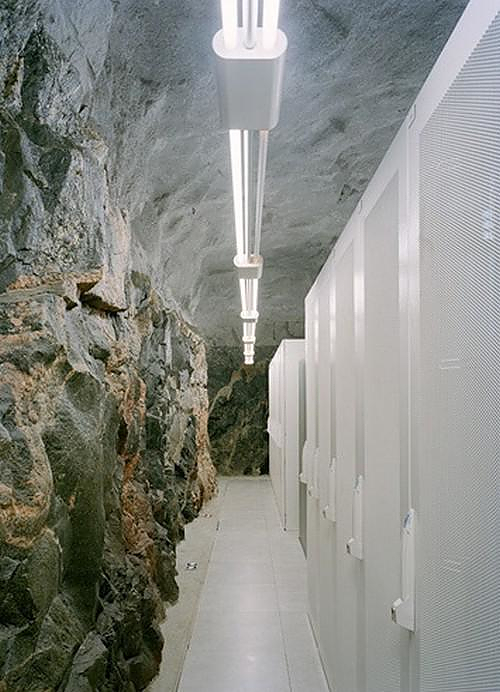 The building is the work of Albert France-Lanord Architects and is situated in Stockholm. 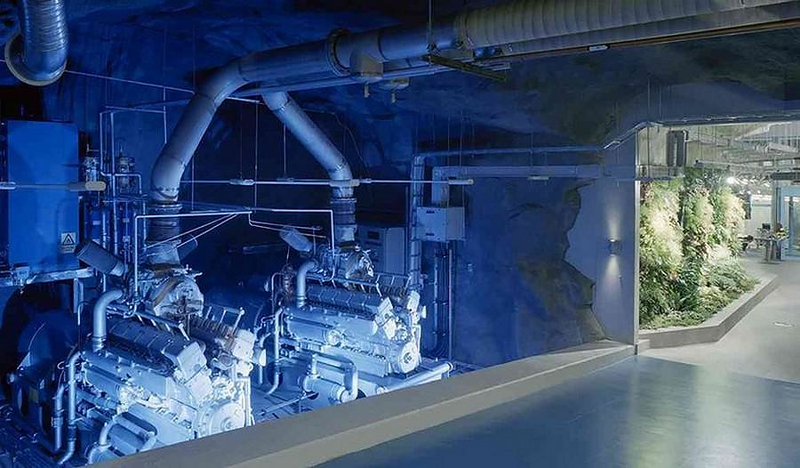 It is located under the Vita Berg park, 200 meters below the surface due to its preview (during the Cold War) use as a nuclear safe house. 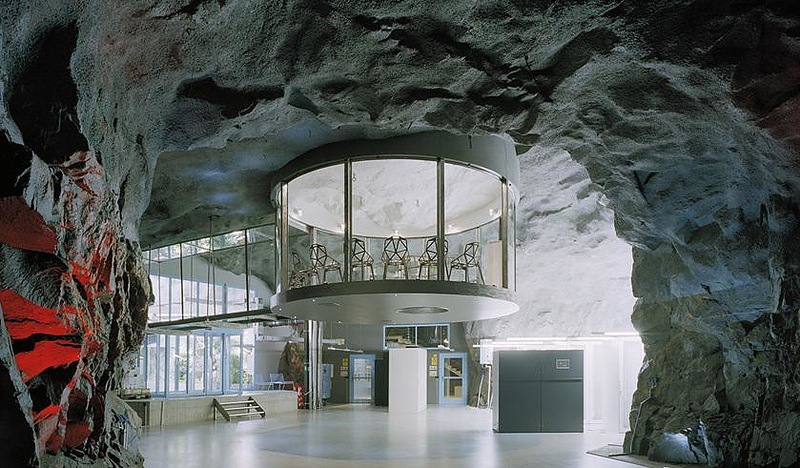 After the end of the Cold War the safe house fell into oblivion and the Swedish government decided to sell it. Its prime location led Bahnhof to acquire it and assign its reconstruction to Albert France-Lanord Architects. 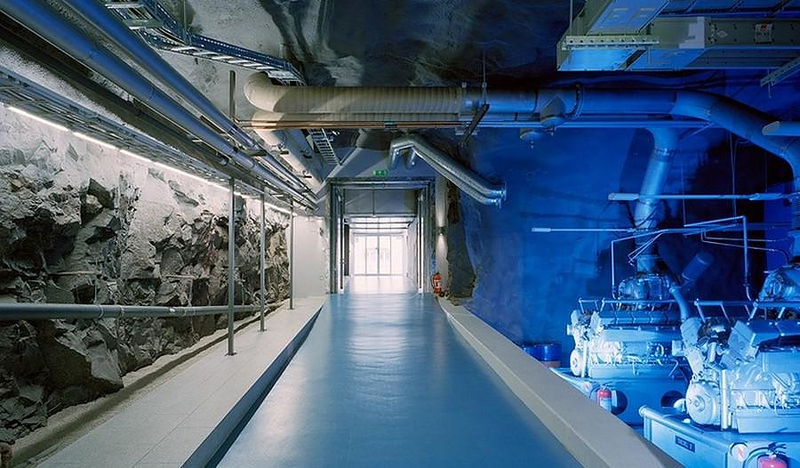 The basement is surrounded by natural stone walls and houses offices and 8000 servers. The basic idea behind the design was that the natural stone walls would be considered as a living organism and will define the interior aesthetics. The result is captivating and I personally believe the combination of caves and plants recalls the scenery of the “Journey to the Center of the Earth” movie.